In less than 5 minutes' walk from the cottage you are on Raffin's own rocky beach. If you are lucky you will catch sight of an otter or basking shark, whales or even dolphins. 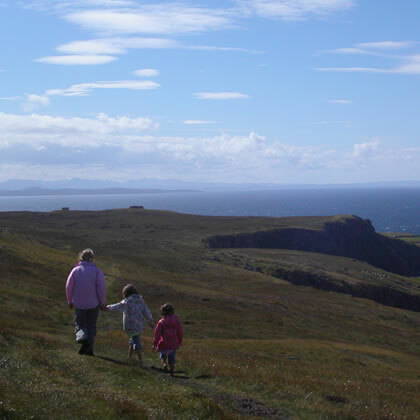 Alternatively, you can walk or cycle down the quiet single track road to Stoerhead Lighthouse to look across to the Outer Hebrides, or view the magnificent sunsets. 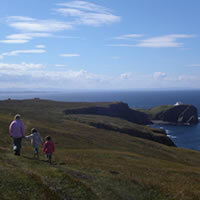 This is a well-known spot for wildlife watching (whales, dolphins, basking sharks, birds, otters), and for walking to see the famous Old Man of Stoer sea stack. There are several nice walks of various lengths you can do from the cottage front door, from a few hundred yards to the whole Stoerhead circuit of around 10 miles. If you like mountains, there are plenty of interesting challenges to be found within 60 minutes drive. The landscape of Assynt is famed throughout the world. The unique geology resulted in the area becoming part of Scotland's first ever Geopark back in 2004. 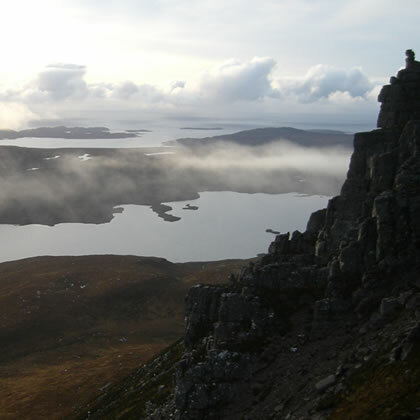 As well as interesting and diverse geological history, the rocks also provide a climbing and walking ground of varied levels on some well known Munros and hills. Suilven, Quinag and Canisp are amongst some of the names that climbers relish. 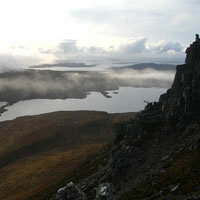 The local rangers organise walks and talks in the area and there are visitor centres such as Knockan Crag at Elphin. where you can learn about the geology of the region and how it played a crutial part in modern theories of continental drift theory. Also the Visitor Centre at Lochinver is a great place to learn all about the nature and wildlife of the area as well as find out about the activities available locally.